National Institute for Fashion Technology (NIFT) is an esteemed institute offering design, technology and management courses at graduate and post graduate level. 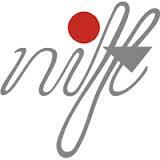 NIFT was set up in 1986 under the aegis of the Ministry of Textiles, Government of India. NIFT has 13 centers at present in India and one international centre. They are located in Bengaluru, Kolkata, Bhopal, Mumbai , Chennai, New Delhi, Gandhinagar, Patna, Hyderabad, RaeBareli, Kangra, Shillong, and Kannur. 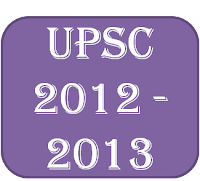 Please note that the upper age limit for applying in bachelor programmes is restricted to 23 years as on 1st November, 2008. Candidates having relevant industry experience in areas of Fashion / Textile / Communication Design would be preferred. *If a candidate possessing Graduation Degree in any discipline applies for the course, then he / she has to compulsory undergo 2 months (i.e. 8 weeks) training programme to develop the desired skills before taking on the course itself. A three years Bachelor’s Degree or equivalent in any discipline recognized by the Association of Indian Universities or Diploma in Accessory / Fashion Design / FIT from NIFT only. For foreign Bachelor’s Degree, not recognized by the Association of Indian Universities, proper certification by a National Body constituted in the country concerned for granting equivalence will have to be produced. All eligible candidates will have to appear for a written entrance examination at the Examination Centres opted by them. NIFT entrance test is designed to test the knowledge, skill and aptitude of the candidates for the programme opted. Ability, English Comprehension, Analytical Ability, General Knowledge and Current Affairs. Creative Ability Test (CAT): This test is administered to judge the intuitive skill, power of observation, innovation in development of a concept and design ability of the candidate. An important aspect of the test is the creative and innovative medium used and candidate’s usage of colour and illustration. Managerial Ability Test (MAT): It is a test to judge the managerial effectiveness. This test will comprise of subsections on Case Study and Logical Ability. Short listed candidates from the written entrance examination will be required to undergo Situation Test (for B Des) and Group Discussion (GD) / Personal Interview (PI) for PG Programmes. Situation Test: It will be a hands-on test to evaluate the candidate’s skills for material handling and innovative ability on a given situation with a given set of materials. Group Discussion: Case Study based GD will comprise of 15 to 20 minutes of discussion on a case study assigned on which a panel of experts will assess the candidates on various parameters. Personal Interview: A candidate will be judged on various parameters during individual personal interview by a panel. When it comes to selecting a career, we only think of engineering, medicine, information technology, accounts, and teaching. But there are several other career options that we can pursue to build a successful career. 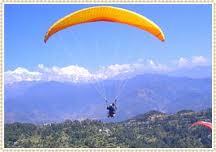 Adventure Sports is one such Offbeat Career choice which one can consider. Adventure Sports gives you an opportunity to transform your hobby into an exciting, fun-filled and rewarding career option. India has a sizable amount of young population, thus adventure tourism stands to gain momentum over the next few years. Global and Indian Adventurists and Tourists are keen to explore the harsh terrain of the Himalayas, the cool beaches of Goa, the wonderful Indian Coastline and Ocean. Several institutes offer short term courses for both beginners and experiences sports people. With experience one can earn up to Rs. 40,000 per month. A job interview can be a terrible, agonizing, nerve-racking and stressful experience. Or it can be satisfying, pleasurable, enlightening, triumphant and successful experience. The experience (good or bad) largely depends on how you plan before and after the interview. Here are some crucial interview tips that will help you crack your next interview. Exhibit positive Body language: Maintain a cheerful demeanor throughout the interview. Keep perfect eye contact with all panel members. Be sure to address all members of the panel. Project enthusiasm in whatever you say. Sit straight and keep body still. Use controlled hand movements. Be conscious of your posture and gestures during the interview as 80% of communication is non-verbal. Dress smartly to make a good first impression: Dress smartly for the interview. Also maintaining good personal hygiene is very important. Be on time for the interview: Arrive on time for the interview. Being late can send a negative impact on the interview process. Get a good night’s sleep before the interview: It’s a big day, so you need to get a good night’s sleep before the interview, so that you are fresh and alert. Use proper flow of language: Avoid using slang language. It is not appreciated during interviews. Also avoid frequent use of words such as ‘I mean’, ‘Well’, ‘Fine’, Basically’ and ‘You know’. When asked a question in English answer in English only. Do not use Hindi or other languages in your conversation such as ‘matlab’, ‘ki’, ‘maine’. Learn about the company and current affairs: You need to have good knowledge about the details of the company where you are applying for the job, and also about latest and current news and events. Be natural: Avoid using accent and mannerisms that is contradictory with your personality. You should display gentility. Keep updates with basic fundamentals of your subject: Sometimes the interviewers prefer to ask simple basic question about the subject, so prepare and keep yourself updates with the fundamentals of your subject. Be honest: When you do not know an answer to a question, be honest and say “I do not know”. Never exaggerate. Stay confident and not over-confident: Never boast of your achievements. Too much over-confidence can be misconstrued by interviewers for arrogance. Retain clarity of Speech: Be clear and unambiguous when you speak. Be loud and concise. The interviewer should not strain his ears during the interview. Maintain brevity of Speech: Brevity and conciseness are the traits of a good communicator. Keep it short and simple. Show manners and etiquette: Be human, polite and follow proper etiquette. Follow restrain and do not argue with the interviewer on any topic. Be an active listener: Listen carefully when an interviewer asks a question. Never interrupt him/her midway. If you do not understand a question, ask for clarification. Also when asked a question, wait for few seconds and then answer. Do not dive into the answer immediately. Sell yourself: Try to leave the interviewer with at least one thing about you that might be unique from other candidates. Remain positive during the interview. Never speak negative about your previous or current employer or give any confidential data. Don’t waste time: Remember that the first impression you create is very critical. So do not waste time in discussing things that are already in your resume or application. Emphasise on topics that illustrate your character or strengths. Start and end your interview by making a positive impact: Finish the interview, the way you started it – i.e. with confidence, enthusiasm and energy. Shake hands when you thank the interview for the opportunity. When shaking hands, make sure your grip is firm and confident. Follow up with a Thank-you note: Make sure you let the interviewer know how satisfied you were to have the chance to interview with him/her. Immediately after the interview, send the interviewer a thank-you note via email. It acts as a display of appreciation and also lets the interviewer know how interested you are working for the company. 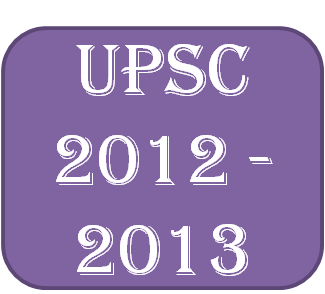 Here are the Exam dates for various exams that will be conducted by UPSC in 2012-2013.